Famous foods to try in Lucknow. Lucknow, popularly known as the Land of Nawabs, is a total foodie’s abode! The city is famous for its royal heritage, beautiful architecture, and palate-pleasing cuisines. What’s the first thing which pops up in your mind when you think about delicacies from this region? I guess, for many of you, the answer is biryani and kababs. Right? Yes, you are correct. But, hold on. Nawabs are also passionate lovers of sweets, chaat, and paan. Whenever you get a chance to roam around the city, you will discover its rich culinary culture. We can say that the Lucknowi kitchen will never leave you disappointed! As you walk around the winding lanes, you will find it bursting with intense flavours and alluring aromas. The air itself creates the magic of food. Did you know that the traditional food of Lucknow was highly patronised by the Nawabs, giving it a royal touch? The dishes are prepared in low flame – in dum style. It is a skill which has been acquired by run-through preparation and carried through generations over the years. We have gathered a unique list of special delicacies from Awadh that you may or may not have heard of before. However, they are popular with the locals. When you visit this part of the country, make sure you don’t miss out on any of these dishes. Malai paan is a popular delicacy across the city that people love to have after their meals. The delectable stuffing of mishri, dry fruits, saffron, sugar, and khoya is wrapped in paper-thin malai with a dash of rose water and kewra. And the result is undeniably drool-worthy. The malai used is so fresh that just one bite will give you a divine experience. Several geniuses have tried to copy this recipe, but none could offer the same taste. We have an exciting story behind the origin of malai paan. Here it is. One of the kings of Lucknow was so addicted to tobacco paan that chefs had to come up with malai paan to stop his addiction! We thank those experts for discovering something that none could think of back then. Now we know why this delectable recipe has been preserved since 200 years. So don’t forget to try the unmatched taste of creamy paan when you are in this city. Surprised! Aren’t you? Anyone would be. Lucknow serves gulabi chai – an extraordinary tea – flavoured with elaichi, saffron, and kewra. All these ingredients vouch for its aromatic zest. Once you take a sip of this exceptionally addictive drink, you will get the feel of a Nawab. The best gulabi chai is offered in Nakhas Market. If you happen to be in Lucknow in the special month of Ramadan, don’t forget to relish it with a mouth-watering piece of imarti. We promise you can’t ever forget the taste of this double delight. 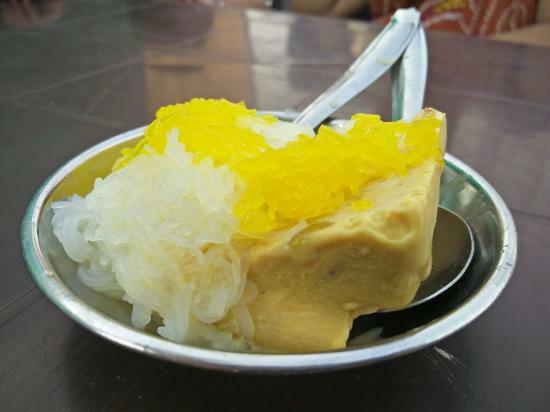 When your heart is craving for falooda, we suggest you try kulfi falooda, famous in the narrow streets of Lucknow. It is the best-selling item during summers. You can see people standing in queues to enjoy this chilled delicacy. It is coupled with dry fruits such as almonds and pistachios. The truly irresistible dessert is preferred by locals and tourists alike. You can taste this anywhere, but the best plate is served at Prakash Kulfi, Aminabad, Lucknow. A taste you will remember for ages! If you are a biryani fan, you should tempt your taste buds with a plate of aromatic spices which will create an array of flavours. We bet, once you try Lucknowi biryani, you will never forget its taste. The delightful dish is straight from the streets. The rice is cooked exclusively in garden-fresh spices and marinated in chicken afterwards. The biryani is slow-cooked and is light on your stomach. It indeed smells and tastes royal! Did you know that biryani is derived from the Persian word Birian, which means ‘Fried before cooking’. The origin of Galawati kebabs has an interesting history. When the old and ageing Wajid Ali Shah lost his teeth, his craving for gourmet food was however still intact. He ordered his royal chef to make kebabs which had a melt-in-mouth texture and were so soft that chewing was not required. Thus, came up the recipe for the softest kebabs in the world! The unique ingredient in Galawati kebabs is papaya which makes it tender. Interestingly, more than 150 spices are used to cook this delicacy. Try the royal mughlai dish – one of the famous foods of Lucknow – and drool. And drool some more! Basket/Katori chaat is another famous chaat in Lucknow. It got its name ‘katori’, as a beautiful basket-like crackle is made with grated fried potatoes and stuffed with lip-smacking ingredients, giving it a tempting taste. The deliciously sweet and savoury mix is curated from papdi, aloo tikki, chickpeas, curd, tamarind chutney, green chutney, sev, boiled potatoes, pomegranate seeds, grated carrots, and fresh coriander leaves. It’s completely an addictive affair and intensely satiating too. You will come across a lot of chaat varieties in the streets of Lucknow. 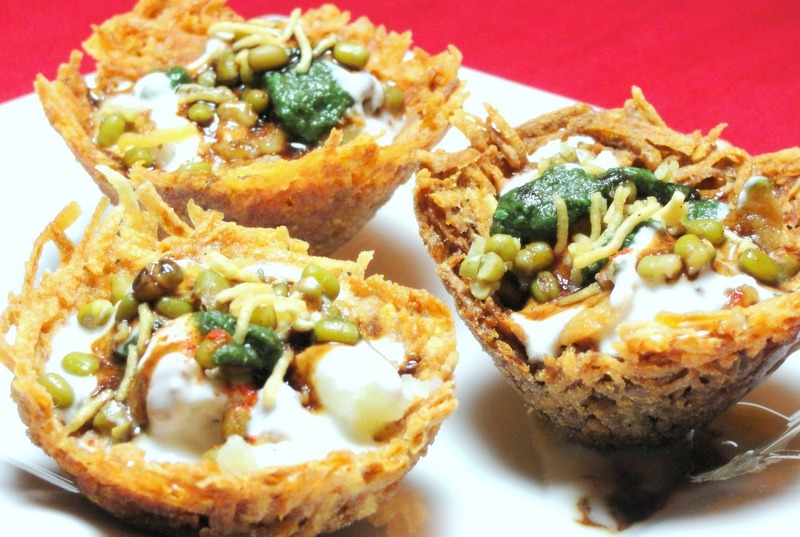 So, if you are an ardent chaat lover, try tokri chaat now! 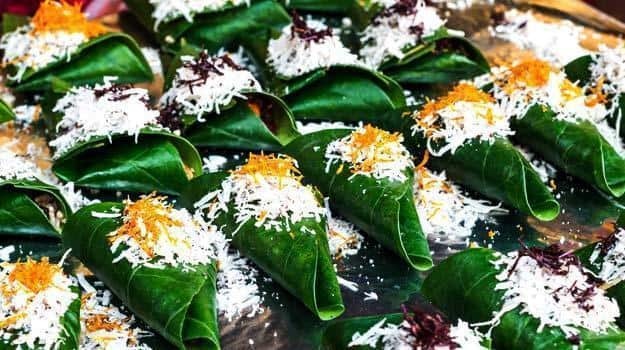 If you are in Lucknow, you cannot miss the paan made with betel leaf, slaked lime paste, areca nuts, saffron, cardamom, tobacco, sweet chutney, tiny coconut pieces, and peppermint. The filling can be adjusted as per the customer’s choice. The paan is folded in a triangular shape and adorned with a silver layering to enhance its look. You can come across varieties of paan in the Nawabi city. Some of them are pista, badam, zafrani, and saunfia paan, pethe ka paan, Wajid Ali Shah ki shahi gilauri, hazme ka paan, seene me dard ka paan, shahi meetha paan, and others. Paan chewing is actually a tradition that has been followed since the era of Nawabs. People in Lucknow have an obsession toward this mouth freshener and cannot resist themselves from having it more than once a day. In fact, this practice has a history that can be traced back to 5000 years in India. 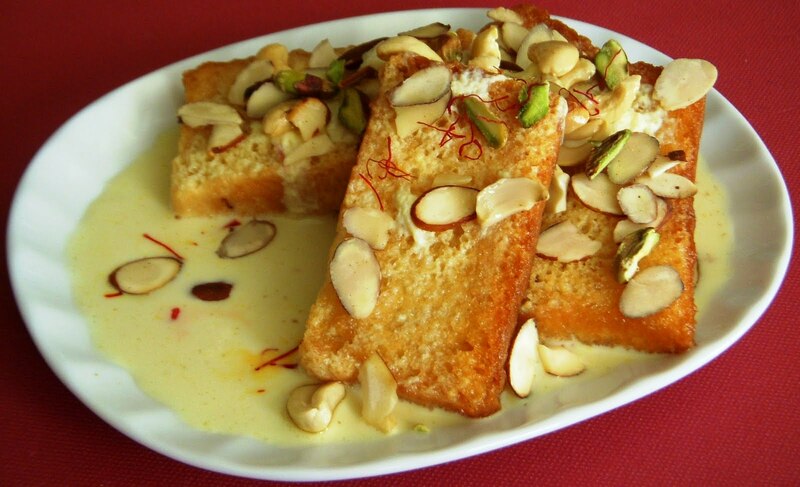 Another amazingly delicious dish is the shahi tukda. Its origin dates back to 150 years ago in the Mughal’s court. Shahi tukda means royal morsels. Bread slices are deep fried in desi ghee until they are golden brown. Then they are soaked in sugary and milky syrup. If you want to relish more royalty, you can have rabdi spread on the bread slices and sprinkled with saffron for additional exquisiteness. If you like cooking, here is the instant dessert recipe that you can prepare in minutes. Do you desire for such Nawabi zaika? You are welcome to the Lucknowi heaven, the hub of food lovers, where these inviting dishes are sure to satisfy your hunger and leave you craving for more. If we have missed any of your favourite delicacies, mention it in the comments section. We would love to know.